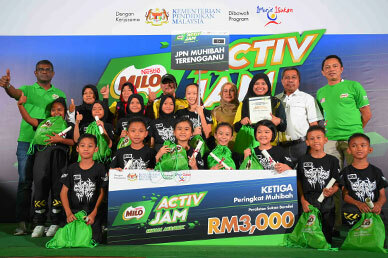 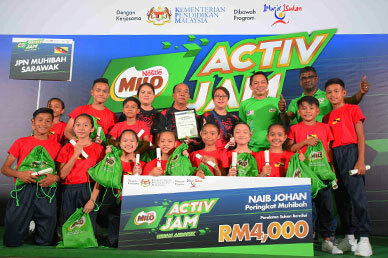 ACTIV JAM SENAM AEROBIK KPM-MILO® returns to continue encouraging students to get active while improving their physical fitness! 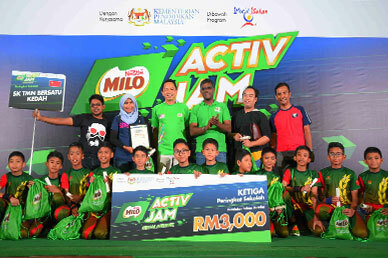 Joining hands with the Ministry of Education Malaysia, this MILO® initiative aims drive sports at grassroot live, and cultivating an active lifestyle. 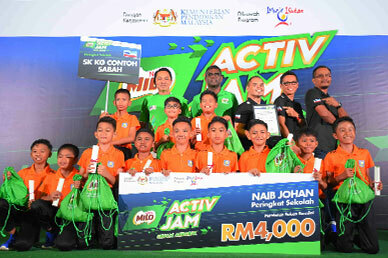 Competing among schools from all over the country, 10 teams will represent the school category while 16 teams will be selected for the Muhibbah category, to compete in the national championships. 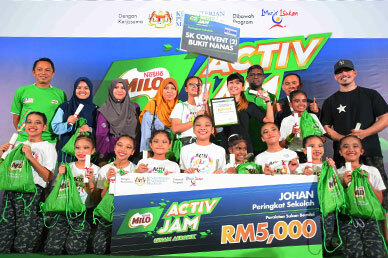 Join ACTIV JAM SENAM AEROBIK KPM-MILO® 2019! 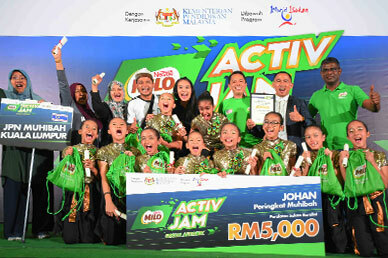 Download the official song and show us your best aerobic moves while dancing to the beat.